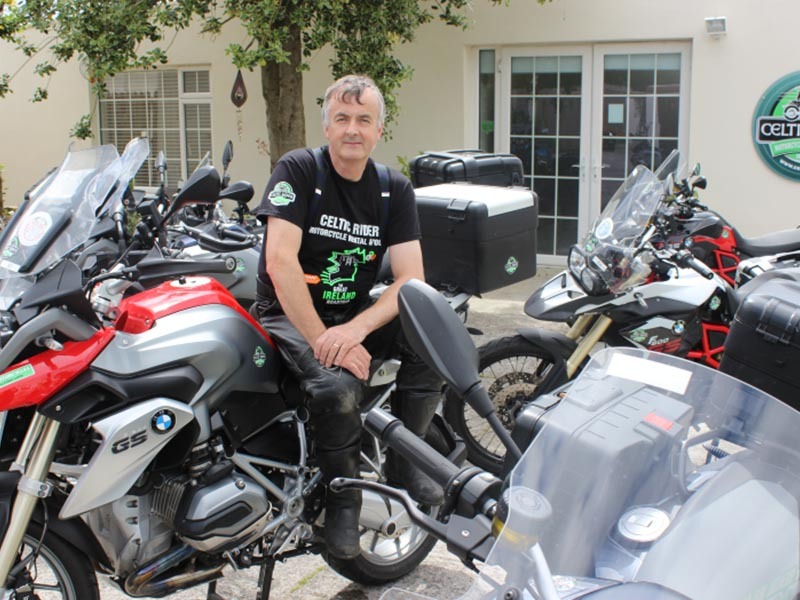 Celtic Rider motorcycle rental in Ireland tours are officially approved by Tourism Ireland and Failte Ireland. New for 2016 and after much research, Celtic Rider Ireland is proud to launch our newest self-drive Motorcycle Tour of Ireland & Scotland! The Wild Atlantic Way route is the longest defined coastal ride in the World. Spanning the length of the west Irish coastline, it is 2,500km of wild, rugged, wonderful roads. Our self-drive tour will take you to all 6 national parks, plus alongside the most dramatic coastal sections each day. 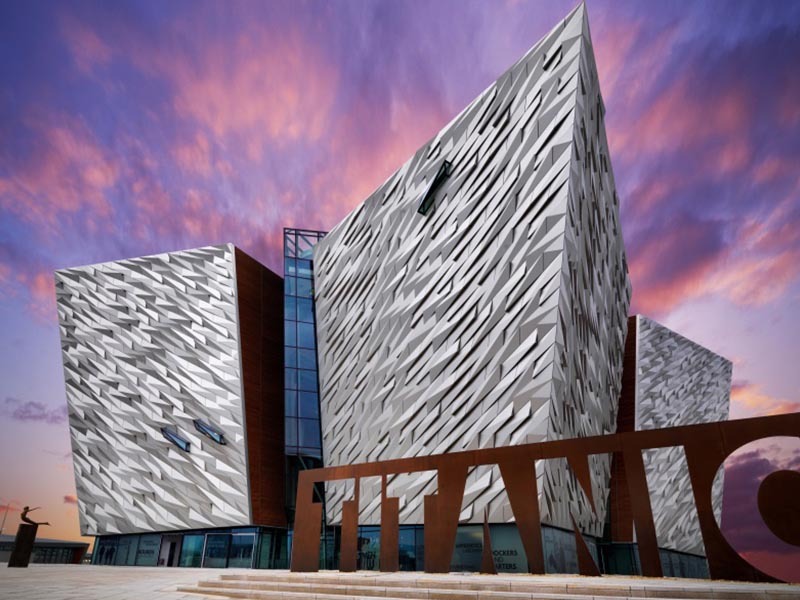 A truly mind blowing visual treat of Ireland’s greatest land and seascapes. Onwards then to Scotland for the third week, again the routes and places you will experience are truly impressive. Its important to say at the outset that the first and foremost priority in the creation of this fantastic tour and indeed all our tours is the quality of the ride itself, in other words… the landscape, both coastal and inland, and of course the roads chosen. Transfer to collect bike(s), then enjoy our safety orientation course. 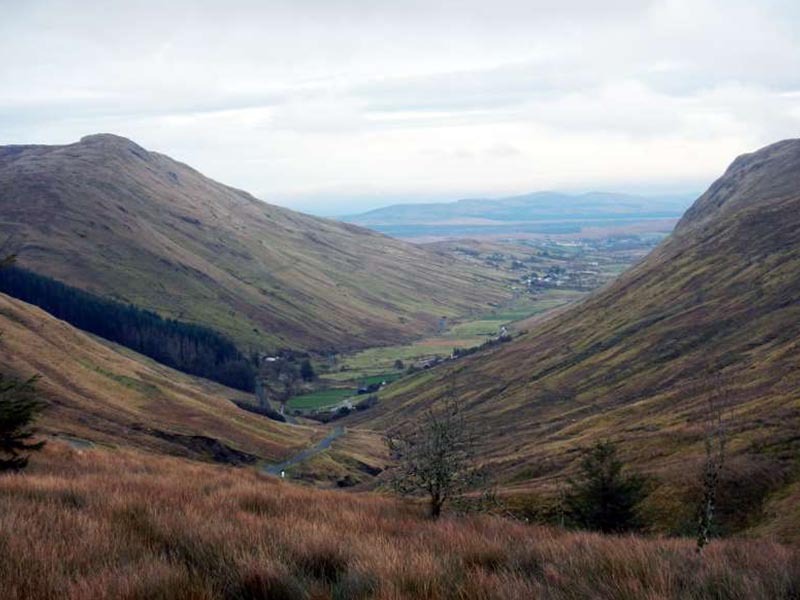 Follow the pre-programmed route to Kilkenny city via the rugged Wicklow national park. 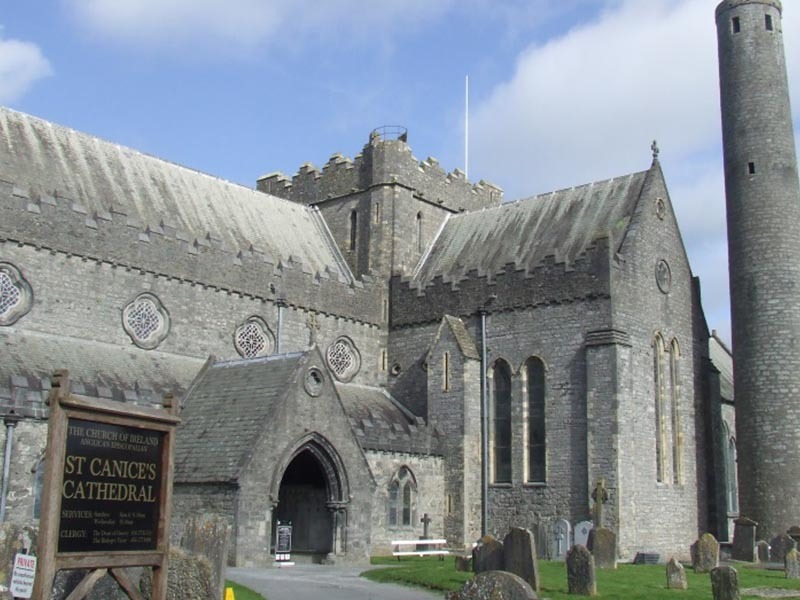 Visit Glendalough 5th century monastic site and have lunch at the hotel. 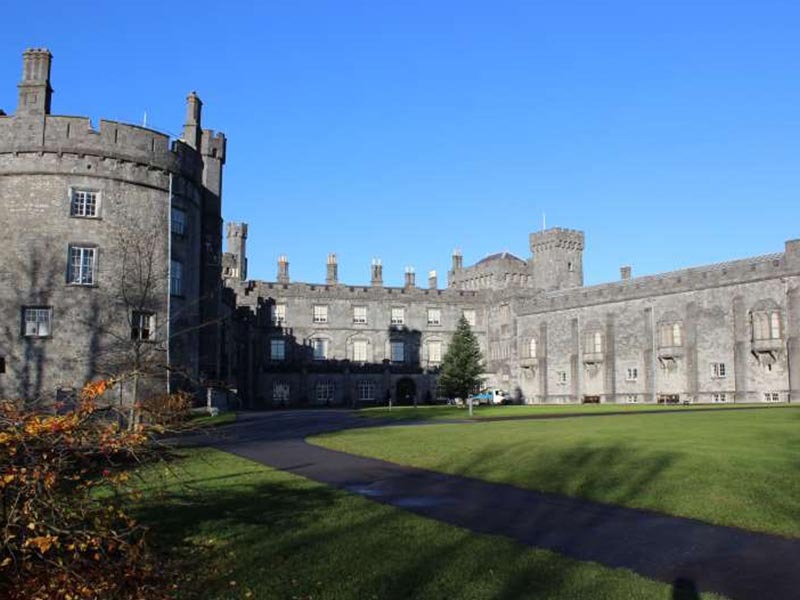 Depart Kilkenny todays ride takes you to the beautiful coastal gourmet town of Kinsale and the official start of Celtic Rider’s Wild Atlantic Way tour. Continue to Lismore and another great castle, Lismore Castle, not open to the public but the Castle gardens are well worth visiting. Also Lismore Hotel is quite nice for food. Lismore Hotel is the first hotel built in Ireland. Onwards over the popular mountain pass called ‘The Vee’ with great views across 4 counties of lush Irish country side..
Continue to Midleton, optional stop at the Old Midleton Whisky Distillery. Next stop is the enchanting Blarney Castle, just outside Cork, to kiss the Blarney stone at the parapet of this great castle, the gift of eloquence is bequeath to all who kiss this mystical stone! 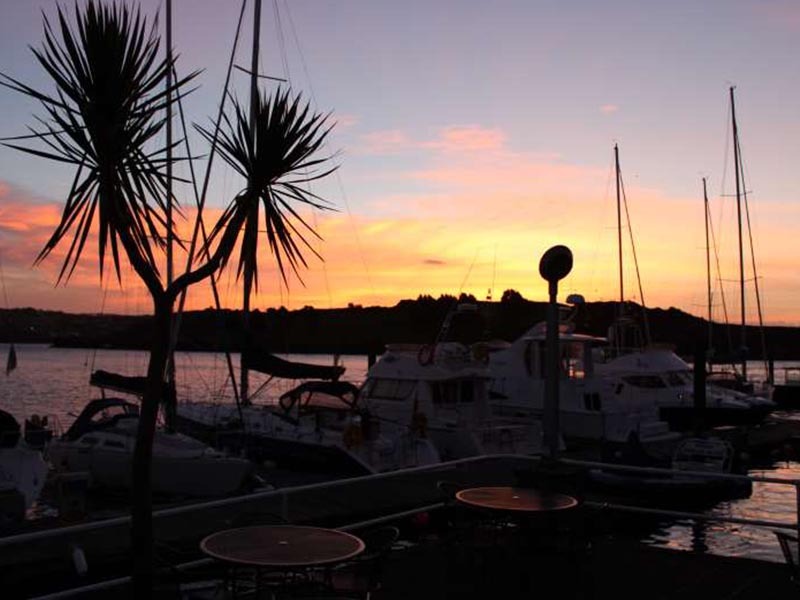 Onwards to the exciting coastal town of Kinsale with its abundance of great restaurants, also of interest is Desmond’s Castle in the town, now a wine museum, and the great Charles Fort, found in your Garmin in the ‘Favourites’ section. Departing Kinsale for Killarney, affectionately known as the ‘Jewel of the South West’ todays ride is very interesting. First stop is Drumbeg Stone Circle, also known as Druids Alter, this site is 3200 years old. Onwards to Baltimore and Baltimore Beacon with great views over Baltimore Bay. Short walk to the beacon from the car park, be careful not to go to close to the edge of the cliffs! 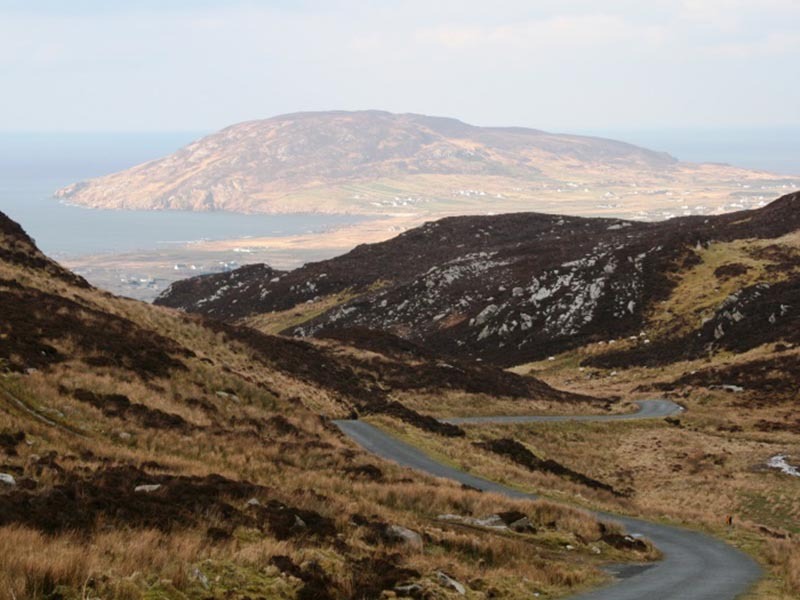 Ride to the Beara Peninsula, the warmest part of our island due to the warming influence of the Gulf Stream, and the amazing Healy Pass, a twisty mountain pass started to be built during the great famine years on the 1850s. 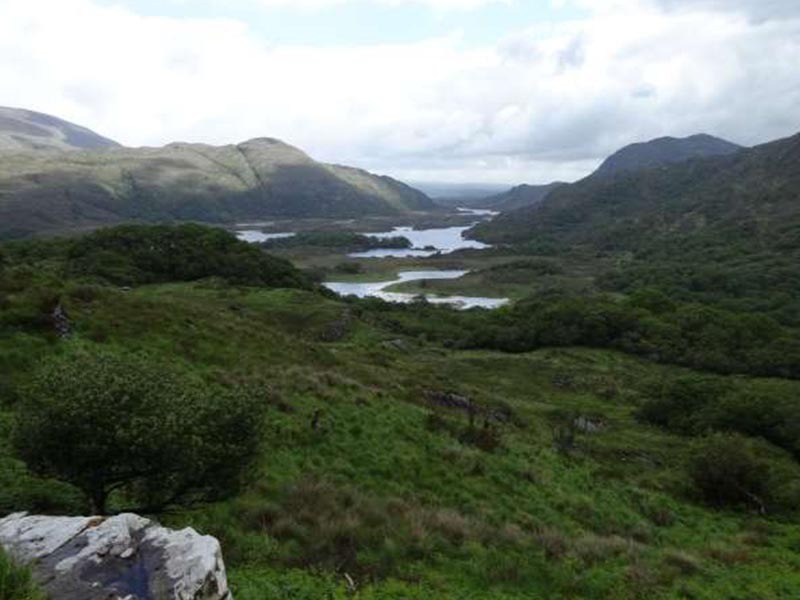 Continue to Molls Gap via Kenmare, a great scenic mountain ride, than onwards to Killarney. En route to Killarney stop at Ladies View, outstanding view over the lakes of Killarney, than Torc Waterfall, short walk, are well worth it, both are saved in your Garmin in ‘Favourites’ and well sign posted too. Day 4 – Your second day in Killarney. Rest or ride the world famous ‘Ring of Kerry’ 130 miles/206 kms. Continue around the Ring of Kerry, and also ride the Skellig Ring, another awesome off shoot off the main Ring of Kerry route. Ride to Dingle via Blennerville, optional stop at Blennerville Windmill. Today’s ride takes you passed a famous pub called ‘The South Pole Inn’ in Anascaul, ancestral home of Tom Crean, Arctic explorer. Be careful as streams often run across the narrow road near summit of the pass! 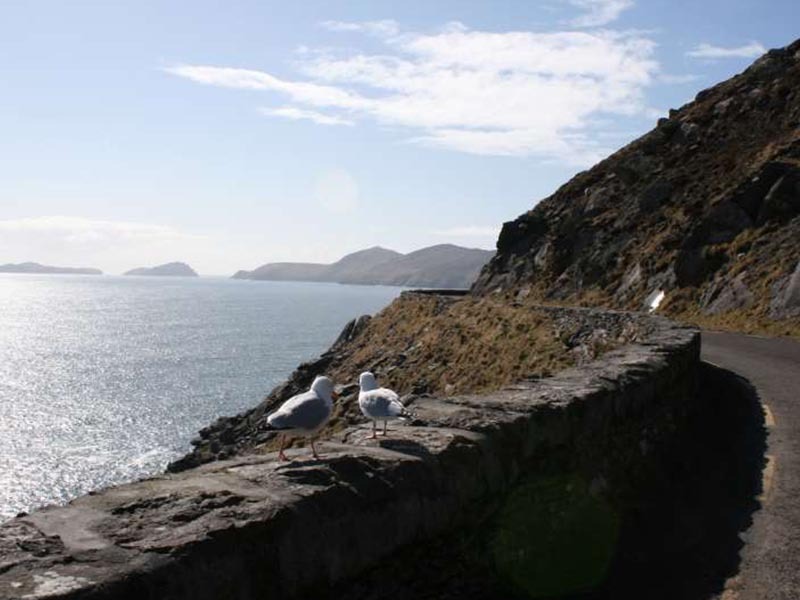 From Dingle, ride a truly mind blowing coastal road called the ‘Slea Head Drive’. Continue back to Dingle or Cloghane accommodation for the evening, great town and village for music and food. Depart Dingle, ride over Conors Pass the opposite direction, great views of inland corrie lakes from the last ice age. Ride to the towering majestic cliffs of Moher, – which is a World Heritage Site, famous the world over. Doolin is famous in Ireland as a traditional Irish music hub with live music daily in the quaint pubs in this little village. Departing Doolin the ride along the coast to Murrooughtoohy and Blackhead is simply mind-blowing. A short few miles into todays ride brings you to Murrooghtoohy, watch out for the sign on your left and park up. 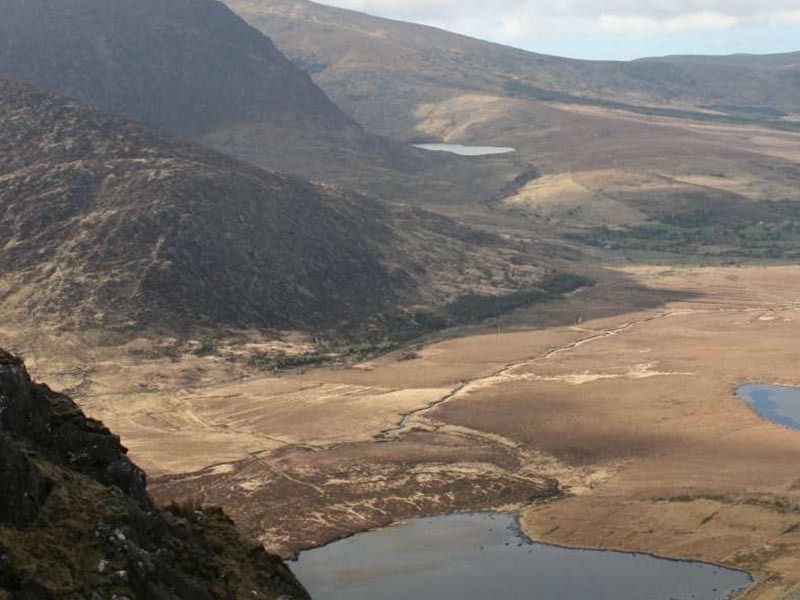 Skirting around Galway city todays ride is magical as it takes you through an ancient hauntingly beautiful landscape, a wilderness of moorland and brooding mountains, Connemara National Park. Onwards to Clifden Town, nice traditional Irish town, good place to stop for lunch. 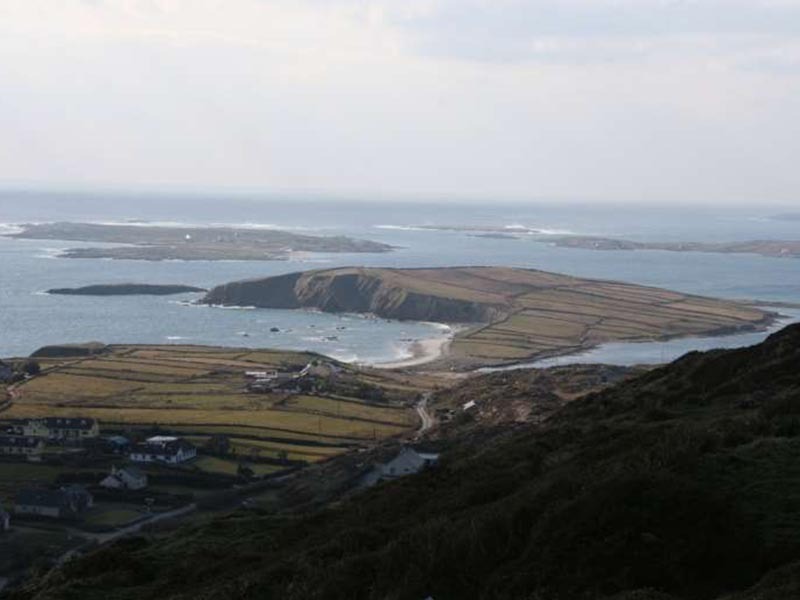 From Clifden Town you will ride the aptly named ‘Sky Road’ with beautiful sea views. Onwards to Leenane, Irelands deepest fjord, Killary harbour, than ride the stunning Doo Lough Mountain Pass. Day 8 – Your second day in Westport (Westport to Westport)107 miles/170 kms. Optimal rest day, hire a bicycle and ride the great western greenway, take a boat trip, alternatively ride to Achill Island, largest island off our coast. 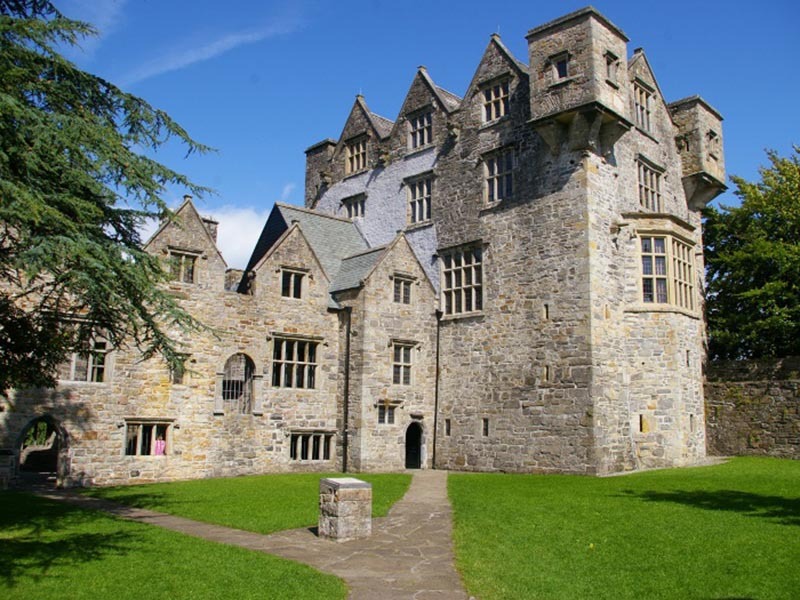 Leaving Westport for Achill island along Clew bay, first optional stop is Burrishoole Abbey, (saved in your Garmin in the ‘Favourites’ section) set in lovely quiet countryside adjacent to a still lake. Continue along the route to Mallarranny, and on to Achill sound, than ride over the bridge onto Achill island itself. The ride across the island is very dramatic and wild, with a mix of great ocean views and mountain passes. Ride back to Westport for the evening and enjoy this wonderful town, voted best town in Ireland in 2012. Leaving Westport for Donegal todays ride takes you through the most remote part of Ireland, Ballycroy National Park. Visit Drumcliff burial place of W.B. Yeats, Irelands most beloved poet and storyteller. 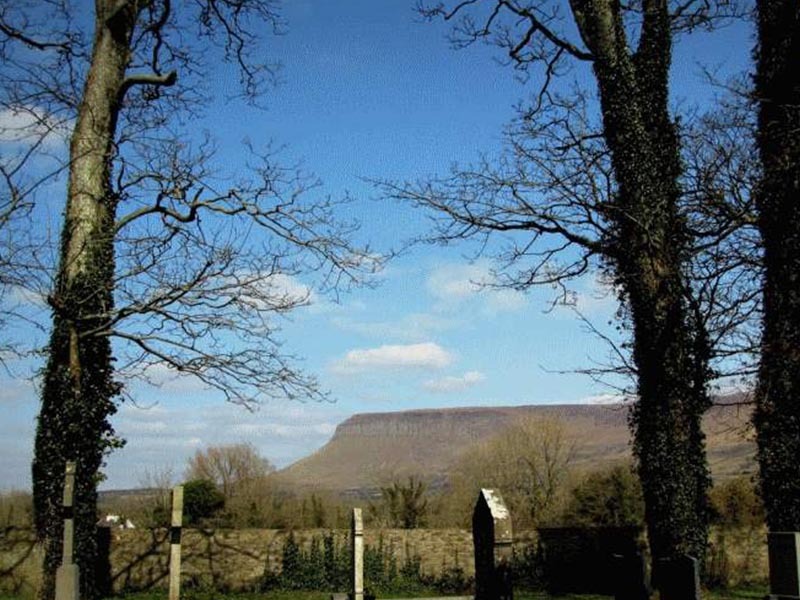 The mighty Benbulbin, a table top mountain, dominates the skyline. Good restaurants are ‘The Harbour’ and ‘The Olde Castle’. Day 10 – Your second day in Donegal. (Donegal to Donegal) 88 miles/ 140kms. Today’s ride is short in distance but totally awesome. From Donegal ride to Killybegs, Ireland’s deep seas fishing port. Continue to the highest sea cliffs in Europe, Slieve League Cliffs, via Carrick, turn right 100 meters after ‘The Rusty Pub’. The ride up is beyond memorable as is the sight from the upper car park. Continue back down from the Slieve League Cliffs and ride to the Irish speaking village of Glencolumbkille. Next is a great mountain pass ride over Glengash Pass, some tight hairpins involved. Continue on the route programmed on your Garmin GPS to Clooney, Glenties than on to Donegal accommodation. Ride onwards to Carndonagh town, on the wild Inishowen peninsula, highest part of Ireland. Your next must see is Doagh Famine village in Doagh Isle, an authentic small Irish village, see for yourself what life was like during the 1840s in Ireland. Departing Carndonagh for Belfast today’s ride is along the A2, the famous North Antrim coastal causeway route. Optional visit to the Giants Causeway, a Unesco heritage site. A bit commercialised but worth walking the Unesco Site as it is a world renowned natural wonder. Optional stop at Ballintoy harbour (Game of Thrones) and again at Carrick-a-Rede Rope Bridge. 10 minute walk to this sea stack with a narrow foot bridge. For the very adventurous, a short detour from Cushendon to Torr Head can be added, but bear in mind that the road is a single track with steep inclines and sharp turns. Great views of Scotland can be seen from here (Rathlin Island and the Mull of Kintyre) across the Irish Sea. Onwards to accommodation in or near Belfast city. I highly recommend the black Taxi tour, a political tour of the city, takes around 90 minutes, it will leave a lasting impression on you. The cathedral quarter in Belfast is where its at for socialising, good choice of pubs, several serve good food, and taxi is cheap to get back to your accommodation. Whites bar, opened in 1630, on Winecellar street is amongst the bars I recommend. If departing your hotel early there is time to ride up to Belfast castle, great views over the city and wonderfully landscaped gardens. 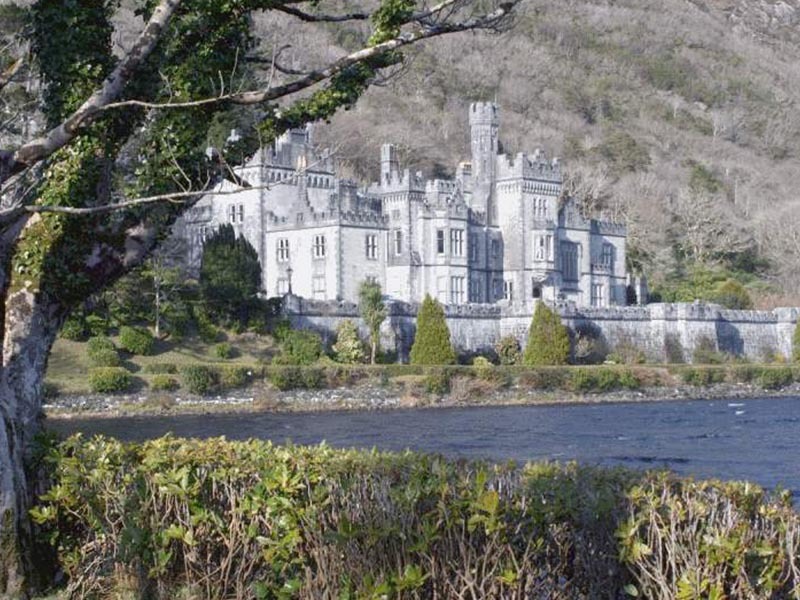 The ferry is only 10 minutes from the castle, located in favourites. Ferry departs at 11.30am, takes 2.5 hours. Initially hugging the coast you’ll head west to the great city of Edinburgh along the route downloaded in your Garmin. 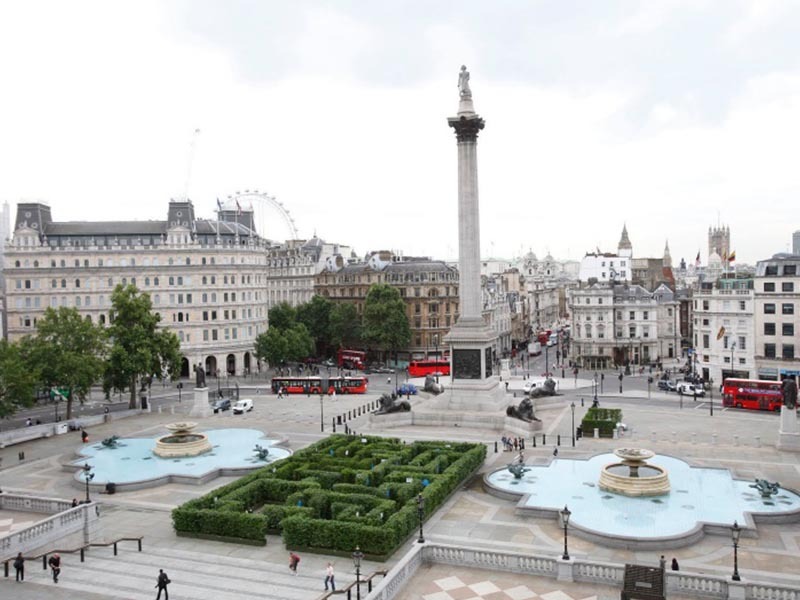 After checking into your accommodation for the evening, enjoy this vibrant city. The whisky tour is good fun, and there are good restaurants and pubs in plentiful numbers. 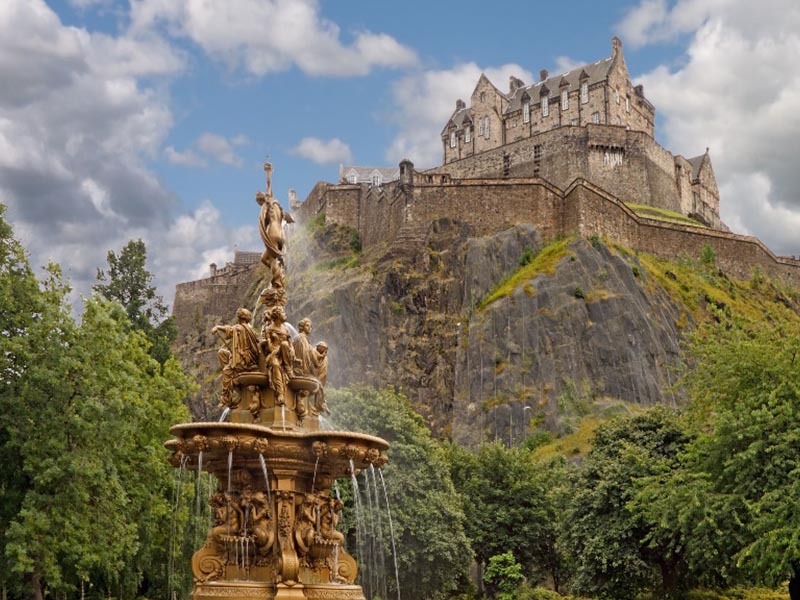 The Royal mile from Edinburgh Castle to parliament buildings should be experienced. Great museums and art galleries, Cathedrals and parks. A blend of beautiful old architecture and new modern buildings, just a really beautiful old city to walk through. Departing Edinburgh for Pitlochry you initially ride over the great Forth Bridge. A new bridge is under construction, awesome to look over at.Today’s ride is brilliant. First stop is Stirling and one of the most important castle’s in Scotland, Stirling Castle, built in the 12th century. Old cobble lock steep streets up the castle, with really nice views over the town and countryside. Lough Lomond, stunning twisty ride, with superb lake and mountain views. Check into your accommodation, its been a long days ride, expect an early night. Onwards through Cairngorm National Park, very impressive views of the Grampian and Cairngorm Mountains. 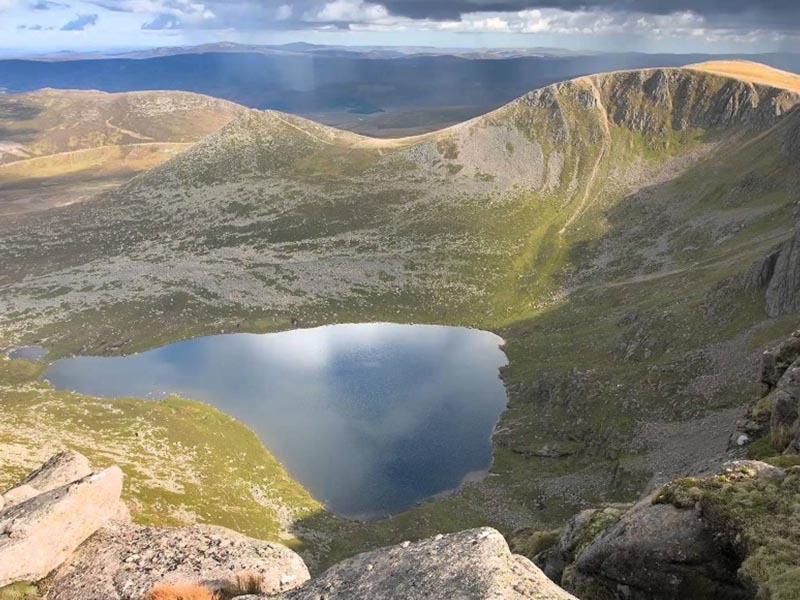 This is an awesome ride, the Cairngorms is the largest national park in the UK. 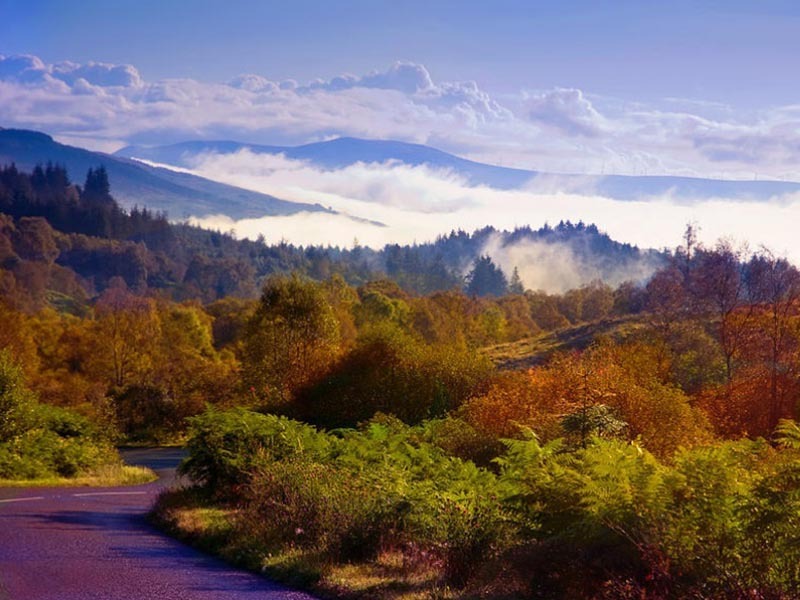 Continue to Inverness and enjoy the hospitality of the capital city of the Scottish highlands. 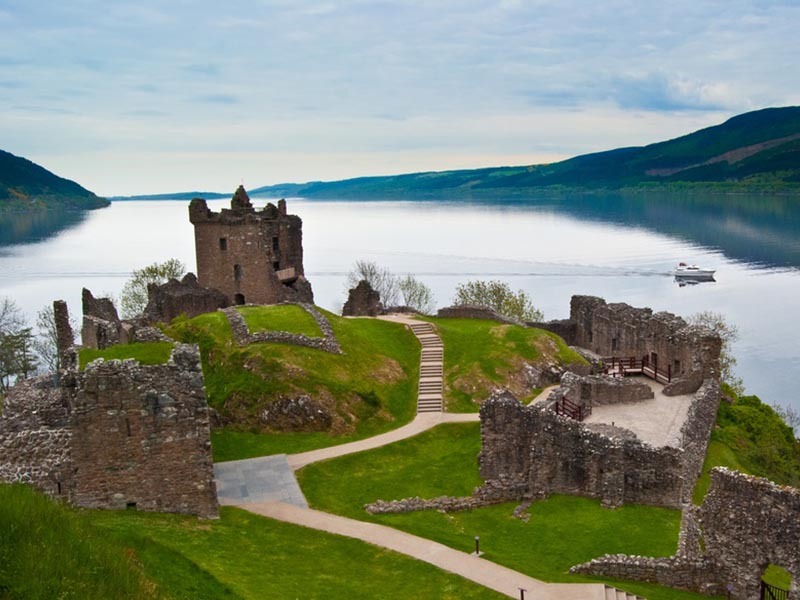 Another amazing days riding ahead as you ride past Lough Ness and the famous Urquhart castle. Today’s ride heads to Invermorrison than on a westerly direction to the coast. Onwards to Portree, located in the North West area of the highlands. Ride over the Skye bridge to reach the island. 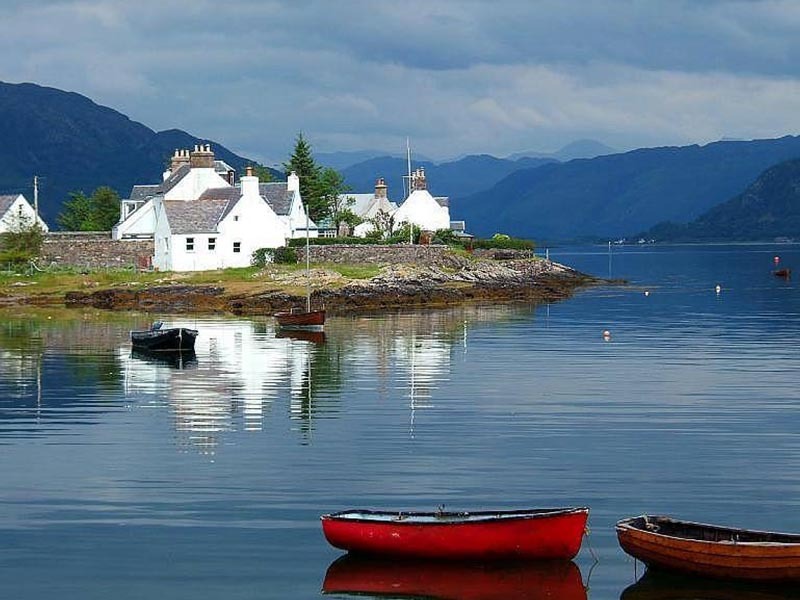 This is remote and tranquil, a Gaelic fishing village stronghold for many centuries. Check into accommodation and relax in this old tiny village. Depart Portree first optional stop for a truly excellent photo opportunity is at ‘Eilean Donan Castle’ remembering ‘The Highlander’ film! Stunning place for photographs, wonderful when the tide is in. Onwards to the Glencoe area, enjoy the lovely scenery through this mountain pass. Onwards to Oban, you have a choice of some great seafood restaurants as the town has a long history of fishing. Oban is a coastal town with a wide selection of cafes, restaurants and optional boat trips. It also has an old single malt whisky distillery from the late 17th century. The walk along the promenade into the town is very impressive. Departing Oban, the ride today takes you to the cosmopolitan city of Glasgow. More wonderful scenery is in store today as the route cuts through Trossachs National Park and skirts along Loch Lomond. Arriving in the old city of Glasgow, which in relatively recent years has become a vibrant European city, you will notice straight away its stunning architecture. Red stone buildings, fantastic squares, massive statues honouring great Scottish inventors and writers, its really nice. Onwards to the ferry as per the Garmin, arriving in Belfast at around 2pm, Northern Ireland. Follow the Garmin, skirting around the docklands of Belfast to the M1 back to Dublin. it takes around three hours to get to Celtic Rider. 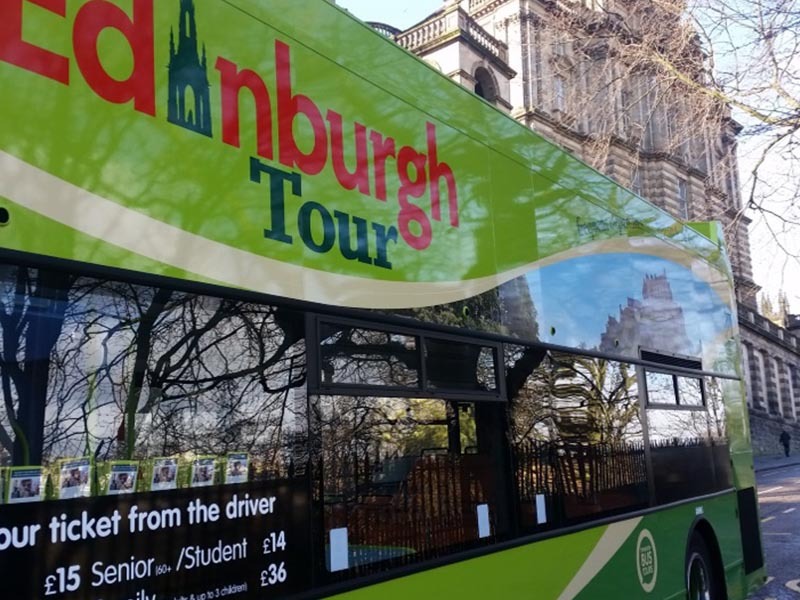 After returning bikes to Celtic Rider, than we will transport you in one of our mini-buses to downtown Dublin City or Dublin Airport after discussing and listening to your stories and observations of this most impressive tour of our island of Ireland and the majestic highlands of Scotland. Since 2007 when Paul Rawlins, founder of Celtic Rider, pioneered motorcycle tourism in Ireland, we have being made aware over the years of the history of forced emigration that took place during several centuries from both Ireland and Scotland, and with this in mind at the outset of creating this great tour, we feel the routes will satisfy riders whose ancestral origins came from the lands of the Celts. This is a paramount philosophy we have in Celtic Rider, our tours deeply immerse overseas riders in the real countryside and traditional villages and towns of the land they pass through.